The positive power of social media never ceases to amaze me. Daily, it fuels anonymous acts of kindness. But this past weekend reminded me of the primary and ultimate power of our cyber society — bringing new friends together. I first met Elizabeth/@itswhitenoise and Andrew/@zalasin at a Targa Trophy Rally a few months back. The annual holiday cruise, to be exact. No more than a few words were exchanged between the three of us; I followed their Instagram account, and we went on with our lives. Flash-forward to this past week: I saw a post indicating they would be in Scottsdale for the Barrett Jackson auctions. I had plans to attend as well with Charlie Davis, a photographer and friend, and my new GT3. So, I fired off a message into the abyss of cyberspace, wondering if they wanted to meet up, whether it simply be lunch or a photo shoot. Graciously, Elizabeth responded and one week later I found myself watching as the sun rose over North Scottsdale, perched above the valley at a picture perfect spot. 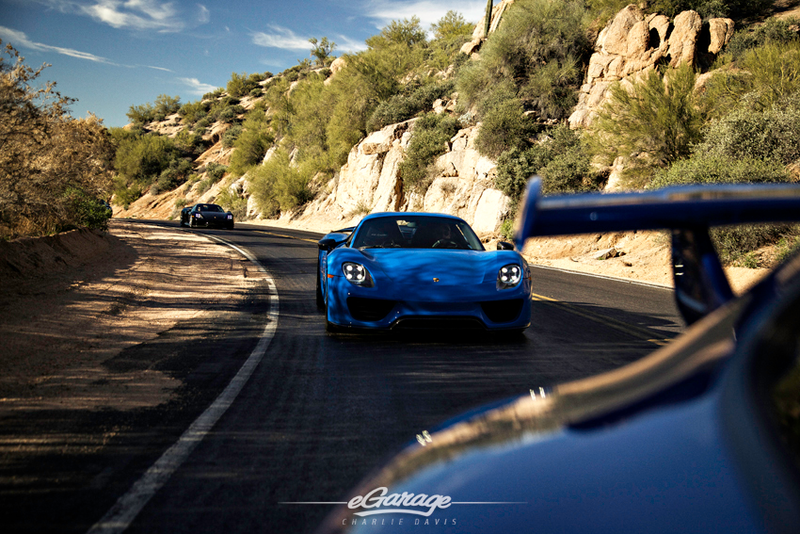 Not only were Andrew and Elizabeth in attendance with their Porsche 918, but also another 918 arrived, and three GT3s in addition to my own. As it turns out, I wasn’t the only one who had messaged Andrew and Elizabeth for a get-together in Arizona. 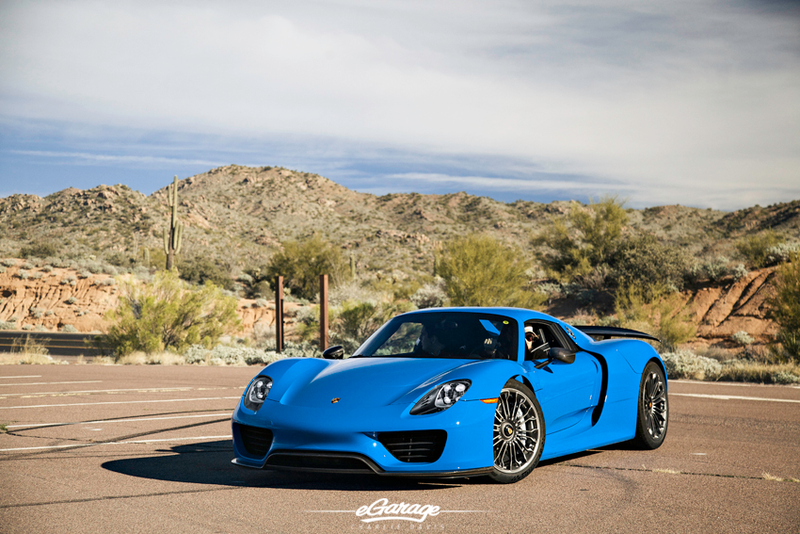 We shot the pair of Porsche 918s in the sunrise, overlooking the valley as we chatted and got to know each other a little more. Andrew jokingly deemed our adventure the “1836 Shoot”, and the name stuck. 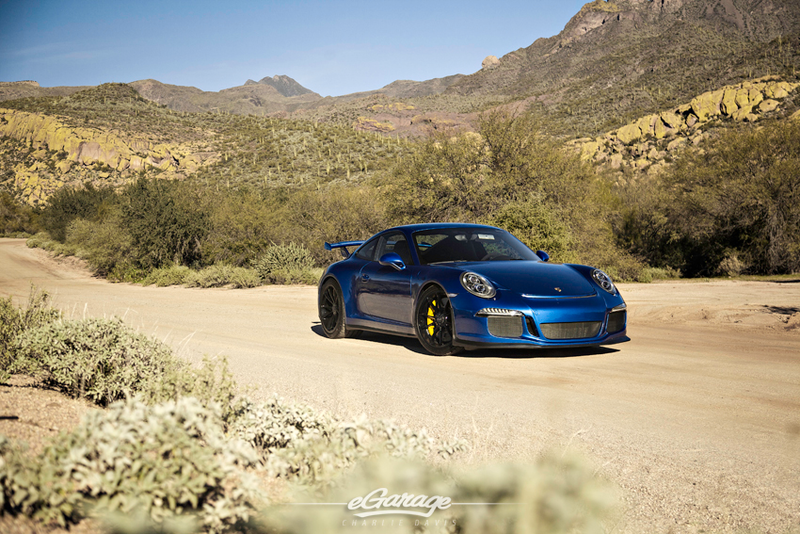 Just as we were getting ready to leave our perch above the valley in search of a new location, our friend Ben arrived in his Gemballa Mirage GT. We had quickly assembled a small army of supercars, and extremely rare ones at that. The fun gained serious momentum. 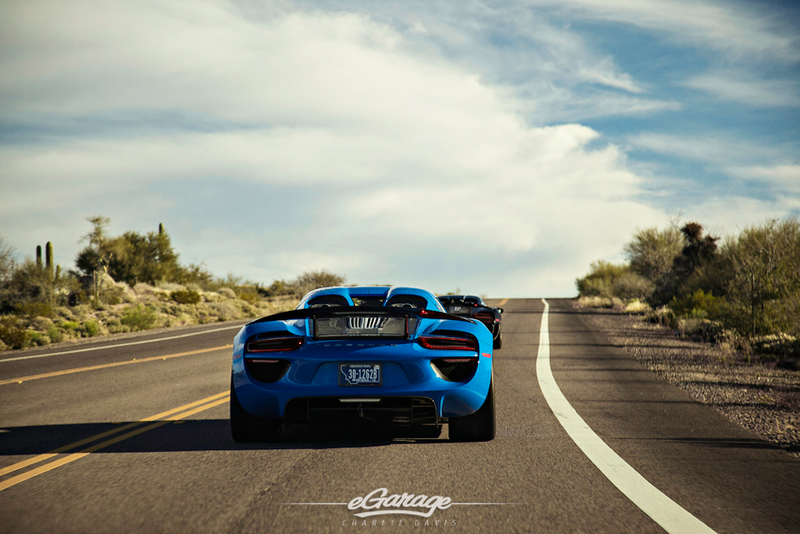 Between our shooting locations, we traveled some of the best roads in the country, blasting at speeds I dare not openly disclose, and, having now experienced the brutal acceleration in the 918 Spyder, I can undoubtedly say it is the most spectacular car on the road. It redefines one’s definition of the word “fast.” What is truly amazing however is that returning to my new 991 GT3 still felt spectacular, reminding me of how special a car Porsche developed. After our final location, Charlie and I split off from the group with Andrew and Elizabeth for our first meal of the day, stuffing our faces with burgers and shakes. I’m hard pressed to think of a better day I’ve had. In Andrew’s words, it was an incredible weekend that culminated in a nearly four-hour goodbye dinner during which we discussed “everything from careers, to rich media, to RWB and sushi. It’s the things you don’t expect that sometimes have the biggest impact!” And he was right, unexpected friendship and unforgettable weekends will certainly leave a lasting mark on our lives. The rest? It’s all white noise.